4k00:55Rosh Hashanah celebration. 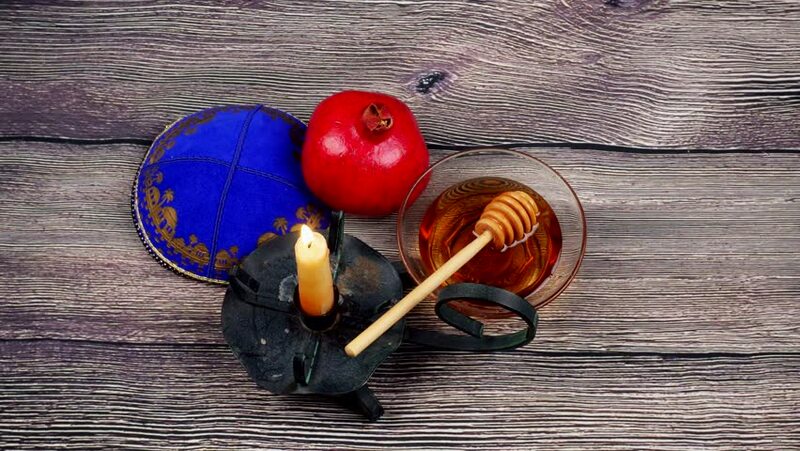 Jewish New Year Holiday. 4k00:53Pomegranate, apple and honey, traditional food of jewish New Year celebration, Rosh Hashana. Selective focus. 4k00:35Flat lay. Step by step. Slicing vegetables for filling to make empanadas.